Herman Krasne and his son Leo started doing business in San Diego in 1946. They began in business as an inexpensive department store using the name of Krasne’s Incorporated. The business went well and the Krasne family developed a name for being fair minded, honest business men that treated their customers right. Leo welcomed his son Jerry into the business in 1952. Jerry expanded the department store to include sporting goods. In 1963, Jerry started Triple K Manufacturing Company. He named it after his three children, Kim, Kurt and Karen. After-market replacement magazines were the company’s main focus. Soon after, Jerry introduced the Triple K leather product line. Through hard work and acquisitions, the product line continued to grow, always striving to make quality products at affordable prices. In the years that followed, Triple K focused on producing handmade quality products at reasonable prices. By chance, the original business was located down the street from the San Diego Police Department. Over the years, the Krasne family became ardent supporters of Law Enforcement everywhere. Triple K introduced a law enforcement product line which has grown steadily over the years. The 1980’s marked the sale of the retail side of the business , the entry of Jerry’s son Kurt into the business, and the moving of the manufacturing business to a newer and larger building. The 1990’s marked another decade highlighted by acquisitions and improvements in manufacturing technology. 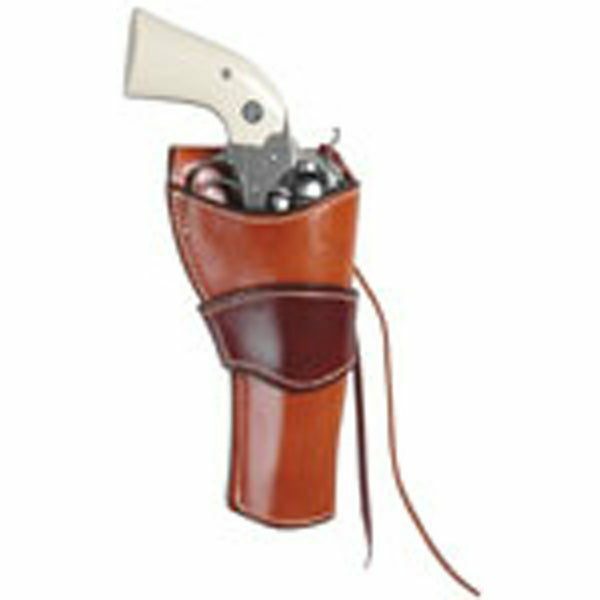 A fully leather lined holster made from premium grade saddle leather. Finished in tan with Havana brown accent. Available for center fire revolvers. For use on our #794 belt. 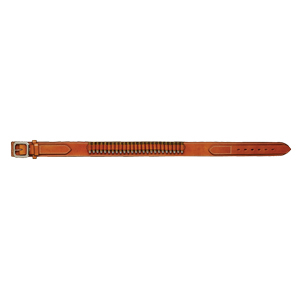 Deluxe Rooster Cogburn Two-Tone, (Tan & Havana Brown) Gun Belt, Top Grain Saddle Leather. 3″ Wide w/25 Cartridge Loops. Available in 38 or 45 caliber. 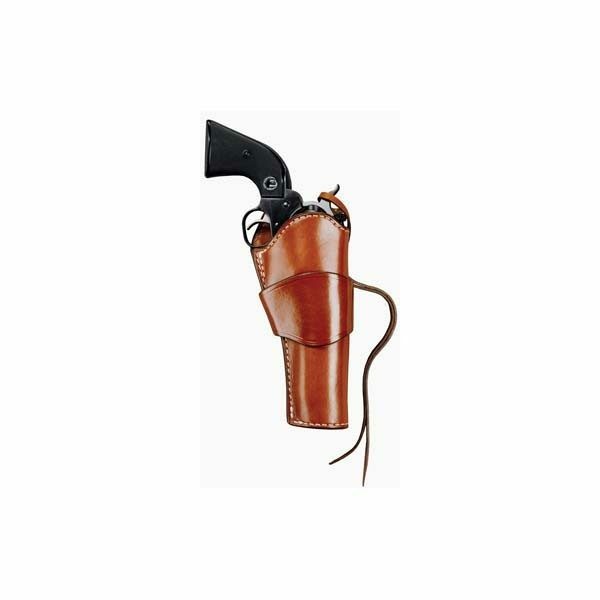 Classic design in a fully leather lined single action center fire revolver holster. Available in black or honey tan. Top grain leather fully lined cartridge belt. 25 individually sewn cartridge loops. Added strength and durability for carrying your revolver and accessories. Black belts supplied with solid brass nickel plated buckles and honey tan belts supplied with solid brass buckles.